Jeremy Irons won the Academy Award® for Best Actor for his performance as Claus von Bulow in Reversal of Fortune. He is also a Golden Globe® Award, Primetime Emmy® Award, Tony Award®, and SAG Award® winner. Current projects see Irons as Rodrigo Borgia in Showtime’s epic drama series The Borgias, The second season premiered worldwide in the spring 2012. Irons can be seen currently on the big screen in the award-winning independent feature Margin Call with Kevin Spacey. Irons’ next movie The Words, with Bradley Cooper, was featured on closing night at the Sundance Film Festival. This summer Jeremy Irons will play Henry IV, directed by Richard Eyre. This is part of a series of three films for the “Cultural Olympiad for Britain 2012”: Henry IV parts 1 and 2, Henry V, and Richard II. This series is a BBC2 adaptation that will form part of a Shakespeare season being created in collaboration with Oscar-winning filmmaker Sam Mendes. Irons recently wrapped production on The Night Train to Lisbon, directed by Bille August. He immediately joined the cast of Beautiful Creatures, directed by Richard LaGravenese. The film is currently in production in New Orleans. In the summer of 2012 Jeremy Irons will be back on location with Showtime’s The Borgias, in production with Season 3. 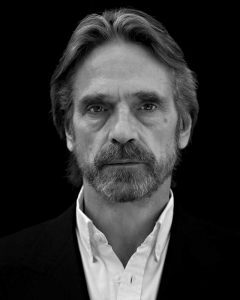 Jeremy Irons is Pope Alexander VI.